Here's the new ride we scored my brother in law yesterday. I had a sneaking suspicion that the engine had a blown headgasket. 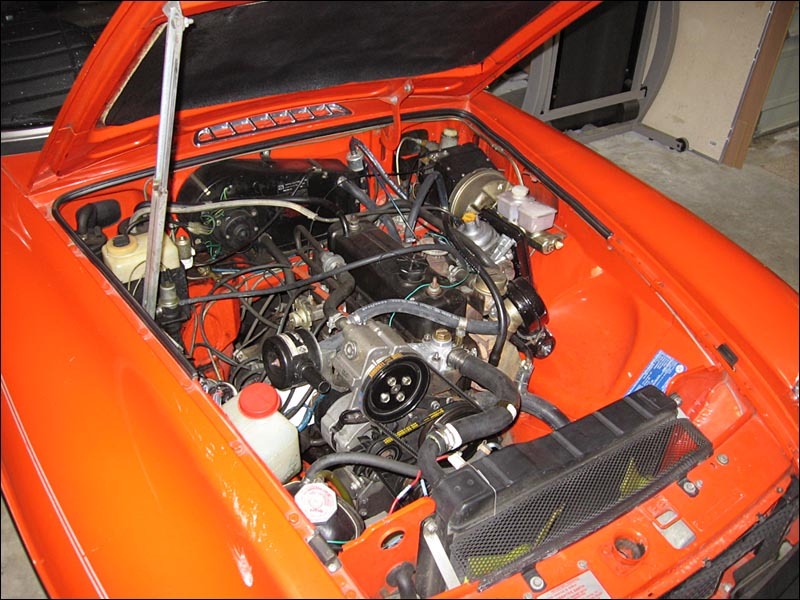 Other than that the car is PERFECT and was professionally maintained with the correct parts. It came with both a hard top and soft top and some manuals. This was a pretty amazing deal so I told homeboy to jump on it and we asked the owner what he wanted. We instantly said ok and he was very happy. Hell this thing is so damn nice and everything in it works.. amazing. So we drove it a mile directly to a friends house in AG and I had to open the hood and tighten up some screws and check things over with his tools. Gotta make sure it's good to go over the grade. The car wouldn't hold pressure in the coolant system and I knew I was screwed. Well we DID make it over the grade but the temp was much higher than I wanted to see. No pressure = boiling over, but it didn't completely boil off so it was somewhat safe to drive home. I called the previous owner and he agreed to pay for the parts if I would do all the fixing. I'll be pimpin the engine out properly and this thing is going to be so sweet when I'm done. I'll be having the head done by my boy Danny Roslans shop and I'll also be putting in an ARP head stud set too. 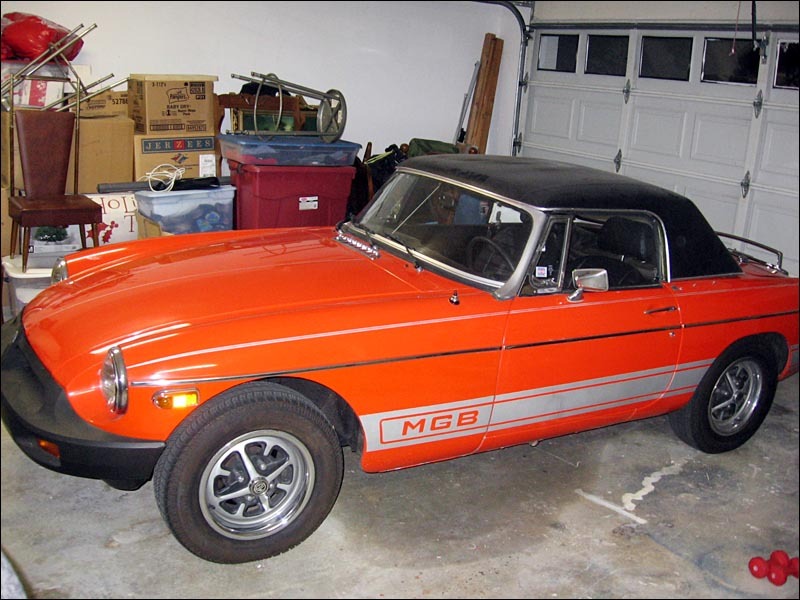 When I was 17, I had a red 1967 MGB with a black top. It was a fun little car, but was in constant need of repair. It always smelled of burning oil, and that Lucas electrical system gave me fits of rage. The wire wheels looked great but were a chore to keep clean, much less remove. I had the MG1100 Sedan while in high school. The smallest car in the lot.. Yes these cars were great when brand new. And once I was done with this engine it ran great but it really was choked up by all the emissions junk. But it wasn't my car to modify so I made it run nice and dependable like. :) It was a fun little cruiser. I learned a LOT while rebuilding this little guy.